Phyllis Harb is the premier Los Angeles Realtor. Her career began in mortgage banking in the 1980’s, where she developed a vast knowledge of the mortgage industry, from experience as a top loan officer to a Vice President for a division of Sterling Bank. In 1989, she transitioned to real estate sales just months before the real estate market began its downturn. No longer did simply placing a sign or inputting a listing into the MLS net results. This experience taught Phyllis to be creative and to develop unique and innovative strategies for each of her listings. “Having sold more than 1,000 homes Phyllis has achieved significant career success”, said Steve Kantor, President of Best Agent Business and author of Billion Dollar Agent – Lessons Learned. 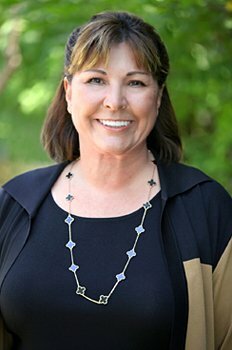 As a Glendale, California native and La Canada resident Phyllis offers personal knowledge of the Los Angeles, San Fernando and San Gabriel Valley communities and is the premier Los Angeles Realtor in Southern California. Ranked among the top 5% of Realtors nationally, Phyllis has received numerous awards and accolades but her true satisfaction comes from helping her clients achieve their real estate dreams. Call her today to discuss Los Angeles real estate. After a successful, decade in mortgage banking, Phyllis entered the real estate profession in 1989. Harb, a superb negotiator is ranked among the top 5% of Realtors nationally and over 80% of her business is from past clients and/or their referrals. In addition to her e-Pro S.R.E.S. (Senior’s Real Estate Specialist), HAFA (Home affordable foreclosure alternatives) designations. She has been selected to author a Real Estate Q + A, published in the Foothill’s Crescenta Valley Weekly. REALTOR, e-pro, S.R.E.S. : Ranked among the top 5% of Realtors nationally. Certified by the Department of Real Estate as a Course Instructor, to teach mandatory continuing education courses to Real Estate Professionals. VICE PRESIDENT/LOAN ADMINISTRATION: Responsibilities included managing two loan centers, overseeing loan underwriting, processing and funding. Additional duties included the sale of loans to the secondary market. Also, responsible for writing all loan policy and procedure manuals and the adherence to all regulatory requirements. PART TIME INSTRUCTOR: Duties included the preparation and instruction of state certified courses to banking professionals. LOAN OFFICER: Responsible for the origination of conventional and jumbo loans. Sr. Underwriter: Duties included the approval of loans in accordance with FHLMC/FNMA policies. Oversaw the marketing of home sales of foreclosures and joint venture construction projects. It is imperative that the agent you hire be able to coordinate and troubleshoot your escrow process. Phyllis has an extensive background in real estate lending-if there is a glitch in your escrow, Phyllis is uniquely qualified to get it back on track. Phyllis Harb is a La Canada homeowner, married and the mother to two daughters. She has three dogs (2 German shepherds, and 1 Chihuahua). Harb is proud to serve as the Fund Raising Co-Chair for the Pasadena Ronald McDonald Gala Committee. As many families travel far from home and spend several weeks or months to get treatment for their seriously ill or injured children – A Ronald McDonald House is that “home-away-from-home” for families. Ronald McDonald Houses are built on the simple idea that nothing else should matter when a family is focused on the health of their child – not where they can afford to stay, where they will get their next meal or where they will lay their head at night to rest.